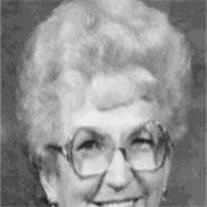 Gloria May (Reedy) Brinton, Born 12-2-23, deceased 2-8-10. Married 6-24-41 to Harold Reedy. Children: Bill Reedy, Richard Reedy, Jean Wharton, and Bob Reedy. Married 3-2-91 to Dilworth Brinton. Her greatest accomplishment was her family. She loved to go to parties. She was the second female mgr. in the JC Penney Co. Viewing will be Feb. 11 from 6-8 PM at Bunker’s Garden Chapel, 33 N. Centennial Way in Mesa. Funeral services will be Feb 12 at 10am at the LDS Church, 933 E Brown Rd, Mesa.